The Crown Forestry Rental Trust was set up under the Crown Forest Assets Act 1989, after the New Zealand Māori Council and Federation of Māori Authorities took court action to protect Māori interests in the Crown’s commercial forests. 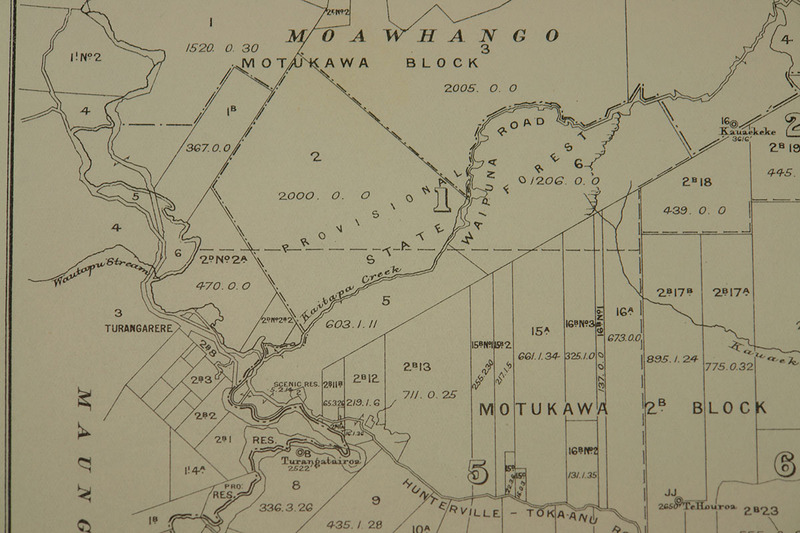 The Act allowed the Crown to sell licences for forestry, but prevented it from selling the land itself until the Waitangi Tribunal recommends who has ownership of the land – Māori or the Crown. reports annually to the Minister of Finance, who is the Trustees’ Crown appointor, and to the New Zealand Māori Council (NZMC) and Federation of Māori Authorities Incorporated (FOMA), who are jointly the Trustees’ Māori Appointor. applies the interest earned on the rental proceeds to help eligible Māori claimants prepare, present and negotiate claims which involve or could involve Crown forest licensed lands. The accumulated rental fees for all Crown forest licensed lands are returned to successful claimants who are the confirmed beneficiaries as a result of achieving negotiated settlements with the Crown. If, at the end of the Trust’s operational life, it retains any Trust funds (which have not been returned to successful claimants), these funds will be returned to the Crown. Settling claims is the responsibility of claimants and the Crown. Made between the Crown, and the NZMC and FOMA, plus the amending Deed made on 17 October 1989.
transfer of Crown forest licensed lands to Māori ownership and payment of compensation in the case of successful claims under that Act. The Trust has two business units – Funded Services and Corporate Services and Assurance. Funded Services is led by the Director Funded Services and consists of Funding and Contract Managers and a Principal Advisor. Funded Services staff engage directly with claimant groups and Approved Clients, providing operational, specialist advice, research and mapping funding advice to help them access Trust funds. Corporate Services and Assurance is led by the Director of Corporate Services and Assurance and manages the Trust’s financial, information management, administration and human resource administration functions. The Director of Funded Services and Director of Corporate Services and Assurance report directly to the Chief Executive. The Chief Executive is responsible for all aspects of the Trust’s business and for providing strategic leadership to the Trust. For Māori – the New Zealand Māori Council and the Federation of Māori Authorities appoint three Trustees. Hon Sir Edward (Taihākurei) Durie KNZM, BA LLB with honorary degrees from Victoria, Waikato and Massey Universities, has been a judge since 1974 when he was appointed from legal practice to the Māori Land Court. He has since served as Chief Judge of that Court, as Chair of the Waitangi Tribunal (1980 to 2000), and as a High Court Judge from 1998 until his retirement in 2007. He has also served as a Law Commissioner, as a General Synodsman of the Anglican Church, as Legal Advisor to the Bishopric of Aotearoa, and as a member of Ngāti Rangatahi, Ngāti Raukawa, Ngāti Kauwhata and Rangitāne, and is currently Chair of the Raukawa District Māori Council and co Chair of the New Zealand Māori Council. Hon Sir Edward (Taihākurei) Durie has been a Trustee since 1 July 2012. Paul has been a lawyer for 30 years, most of those as a partner at Russell McVeagh and in more recent years as a partner at Atkins Holm Majurey. His expertise is in Treaty, Māori and environmental law, having appeared as senior counsel before the specialist environmental and Treaty courts and tribunals, and the superior courts including the Privy Council and Supreme Court. Paul has served on three Ministerial technical advisory groups and is a co-author of the leading environmental law textbook. Paul has extensive Treaty negotiations governance experience, chairing three separate iwi/hapū collectives comprising 30 iwi/hapū. He is a chair or director of several company boards, especially for his Marutūāhu and Pare Hauraki iwi interests. Paul also chairs or is a member of several statutory entities. Paul joined the Trust in November 2014. Ms Koroheke has 25+ years experience in providing financial, accounting and business expertise and 10 years in senior finance roles. She is experienced in various sectors including tertiary education, local and regional government, health, energy, and the Māori and corporate sectors. She is an experienced Chief Financial Officer, and has worked at Māori Television and for Te Wānanga o Aotearoa as Chief Financial Officer. She also has 20+ years experience in operating in kaupapa Māori organisations and has extensive Māori networks. Ms Koroheke has been a Trustee since 6 November 2017. Hon Tau Henare has a background in community development, early childhood education and union organisation and has extensive experience in public policy. Tau was elected to Parliament as the member for Northern Māori from 1993 to 1996 and as MP for Te Tai Tokerau from 1996 to 1999, and was Minister of Māori Affairs from 1996 to 1999. He was a list MP with the National Party from 2005 to 2014, and Chairman of the Māori Affairs Select Committee from 2008 to 2014. Tau was appointed to the Housing New Zealand Board at the end of 2015 and the Independent Māori Statutory Board in November 2016. Hon Tau Henare has been a Trustee since 1 October 2016. John Wilson retired from the Treasury in 2007 after a long career. In his Treasury career John had latterly focused on State owned enterprises, including privatisation and the purchase of assets. This work encompassed both use of Crown commercial assets in Treaty settlements, and other Treaty issues arising from the Crown’s commercial asset portfolio. John also spent a period working on international financial relations, including a term as an Alternate Executive Director of the World Bank, based in Washington DC. Since his retirement John has been working as a consultant on economic and public policy issues. John has been a Trustee since 1 June 2009. Rakihia’s first career was in engineering, being certified with Advance Trade Certificate in fitting and turning, and he is also a qualified Marine Engineer. After qualifying with a B.Com and MBA, he began his second career in business and commerce. He was one of 5 principal negotiators for the Ngāi Tahu Claim. He has held several senior governance positions including being past chair of the SOE AgriQuality Ltd and a director of Ngāi Tahu Properties Ltd.
Rakihia has also held senior executive positions within the public (publically listed) and private sectors. Rakihia is a Partner and Commercial Director of the consultancy firm Arahia. Rakihia joined the Trust in July 2013. Darrin started as the Chief Executive of the Crown Forestry Rental Trust in March 2010. Between 1987 to 2002 Darrin held service delivery, policy development, corporate and IT support senior management roles in the Ministry of Social Development, Ministry of Social Policy and Department of Social Welfare based in Wellington. Between 2002 and 2004 he returned to the Eastern Bay of Plenty where he was Chief Executive Officer for the Anamata Private Training Establishment based in Whakatane & Taneatua. Anamata provided NZQA approved Degree, Diploma and National Certificate tertiary education programmes. Darrin was Director of the Waitangi Tribunal from 2004 to 2010. Outside his career Darrin has been a long term participant in the sport of touch rugby and is on the Touch NZ Board of Directors (since 1991 retiring finally from the Board in September 2014 after 23 years) along with being a national and international touch referee in the 1990s. He now serves on the international body of touch rugby assessing and coaching referees at the international level. Darrin was appointed a Member of the New Zealand Order of Merit in the 2013 Queen’s Birthday Honours for his services to touch rugby administration. Darrin is a Government-appointed Board Member of the Capital and Coast District Health Board (appointed in 2010, reappointed in 2013), a current Trustee of Sport Wellington, appointed in 2011, and a member of the Institute of Directors. In May 2013, Darrin was also appointed to the Sport New Zealand (Sport NZ) Board. Sport NZ is the name for the Government organisation responsible for sport and recreation, and distributes approximately $70M in sport and recreation funding annually. Rama started at the Trust in December 2013 as Director Funded Services. Before this she held policy, legal and management roles both in the public and private sectors. Rama began her career in the Treaty sector working for the Office of Treaty Settlements, then moved to Parliament where she worked with two Cabinet Ministers. Rama then worked for a major Wellington law firm specialising in public law, contract law, Treaty/Māori matters and telecommunications. Rama continued practising law in-house within a number of sectors including telecommunications, electricity and transport. In 2013, Rama moved into management and now manages a team of specialists at the Trust which includes research, mapping, and funding and contracts specialists. Rama’s iwi affiliations are Ngāti Manawa, Ngāti Whare, Tuhoe, Rangiwewehi and Ngāti Whakaue. Andrew started at the Trust in February 2009 as Chief Operating Officer. Before that he had spent five years in Korea as New Zealand’s Trade Commissioner heading a team which helped facilitate trade and investment between NZ and Korea. Andrew has a wide breadth of experience in economic and business development, having worked for a wide range of organisations including NZTE, the Māori Economic Development Commission, Treasury, TPK and the Reserve Bank of New Zealand. Andrew has a BSocSci (Honours) in economics and geography and a Masters degree in business studies. Andrew’s iwi affiliations are Muaūpoko, Ngapuhi, Ngāti Apa, Ngāti Hauiti and Whakatohea. Licensed Crown forest land was created in 1989 with the passage of the Crown Forests Assets Act which established Crown Forest Licences which allowed the Crown to sell the forests whilst retaining the underlying land. Land Information New Zealand (LINZ) manages Crown Forest Licenced Lands on behalf of the Crown and administers the forestry licences the Crown has granted to forestry companies to grow trees on the land. The rents from these licences are transferred to the Crown Forestry Rental Trust, which holds and invests the rental proceeds on behalf of future successful Treaty of Waitangi claimants. When settlements are completed which include licensed Crown forest land as redress, the accumulated rentals for that land are transferred to the settling group. The settling group also receives the ongoing rental for the land from the licence holders. The transfer of the land has no effect on the licence holders. 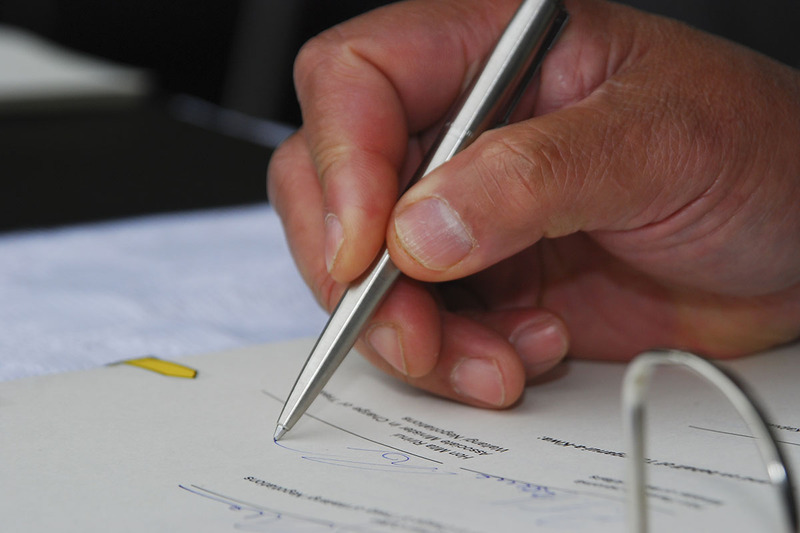 Many CFLLs (including land and accumulated rentals) have now been returned to beneficial owners as a result of the work of the Trust and subsequent settlements between iwi and the Crown.